When President Kennedy famously challenged Americans “Ask not what your country can do for you - ask what you can do for your country”, thousands of young Americans responded by signing up for the Peace Corps – established just six weeks into his presidency, on March 1, 1961, by executive order. A country divided, battered, exhausted - limping towards the end of the bloodiest war in American history. Abraham Lincoln, as often was the case during his presidency, is under threat. John Wilkes Booth, a famous actor and Confederate sympathizer is planning an attack with other conspirators that will change the course of the nation. Who is in charge, when the presidential term ends on noon on the Sunday, but the Oath isn't taken, until Monday? 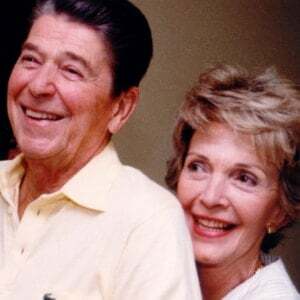 "Nancy sends her love," - Ronald Reagan, miraculously surviving an assassination attempt, is optimistic about his recovery. 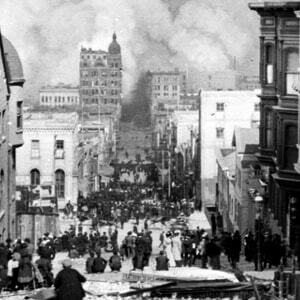 The shock of the earthquake which struck San Francisco on the morning of April 18, 1906 - leveling countless buildings, starting a fire that lasted three days, and taking hundreds of lives - was felt all across the country.